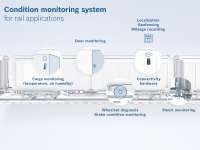 Thanks to Bosch, the next stop for freight trains will be the internet. 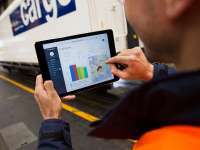 The Internet of Things, which connects real and digital information, is revolutionizing rail freight by way of new digital technology for vehicles. 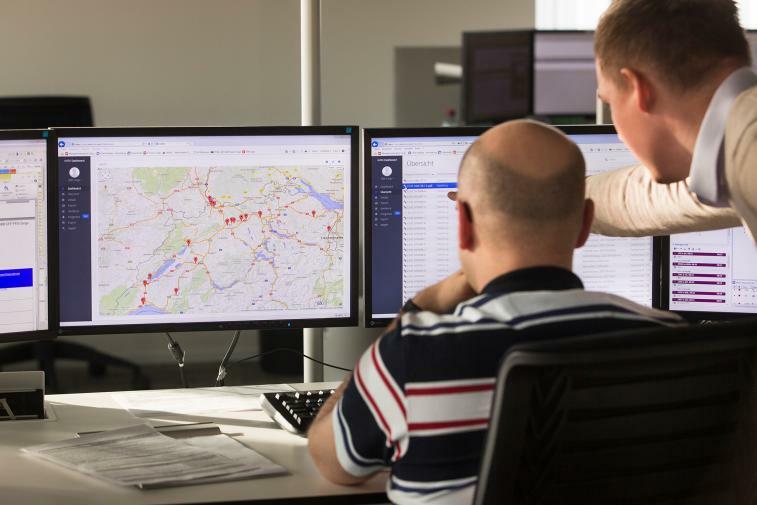 “We use intelligent, connected sensors to capture real-time data from freight cars and process it online. 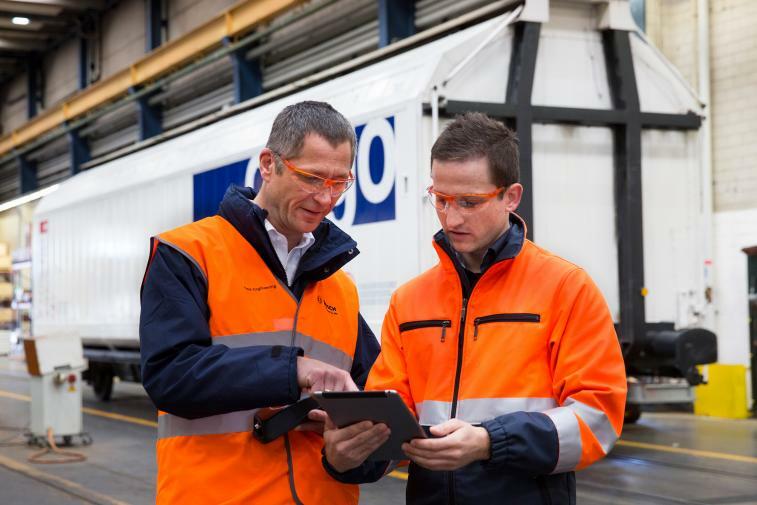 This means the cars themselves can determine whether or not the cold chain has been maintained, predict when a delivery will arrive, and provide information about when they will next require maintenance,” says Bernhard Bihr, president of Bosch Engineering. 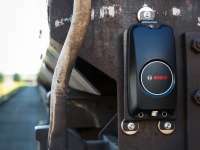 More than 300 freight cars have already been equipped with the new Bosch system and are being used to put the technology through its paces on railways in Europe, North America, and Australia. 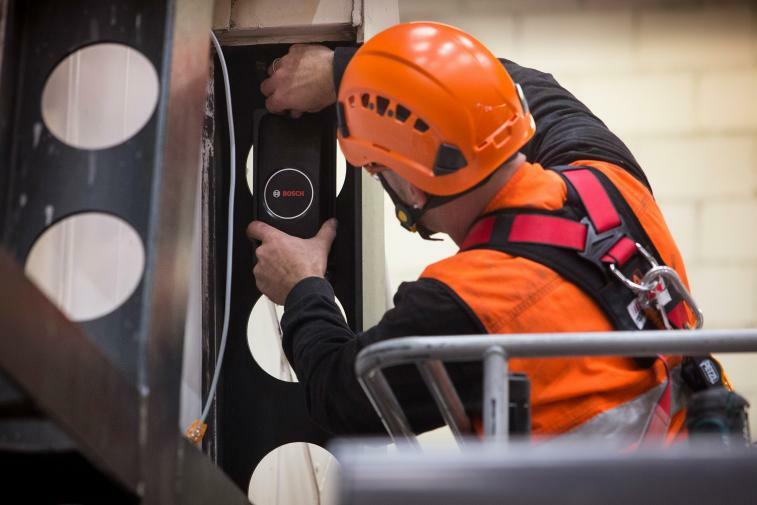 The system is scheduled to enter production in mid-2016. To withstand tough operating conditions like temperature fluctuations, vibration, dirt, and humidity, railway engineering must be simple and robust. 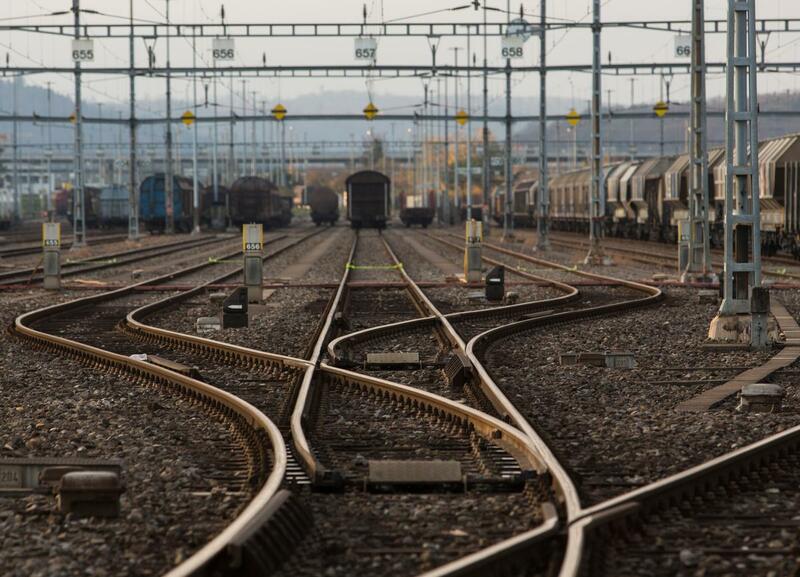 In 2013, almost 400 million tons of goods were transported along close to 40,000 kilometers of railway track in Germany alone. 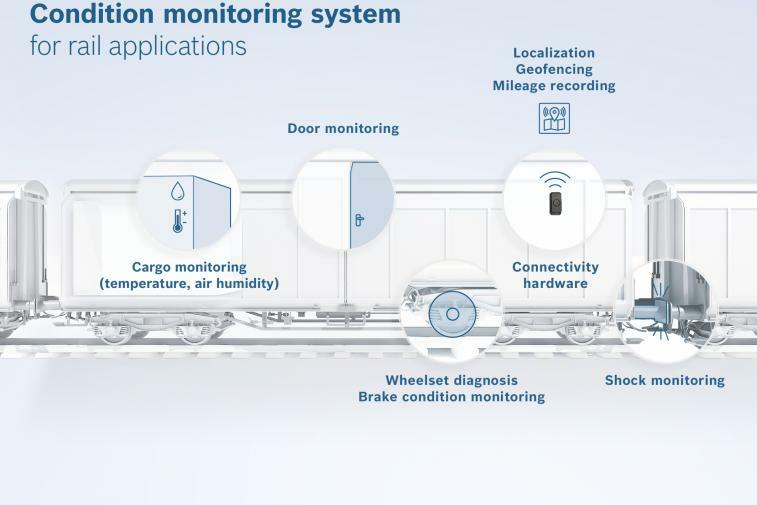 One reason why connectivity technology – which is racing ahead in almost every other sector worldwide – has been unable to find its way into rail freight transport is that freight cars have neither their own power supply nor their own sensors. 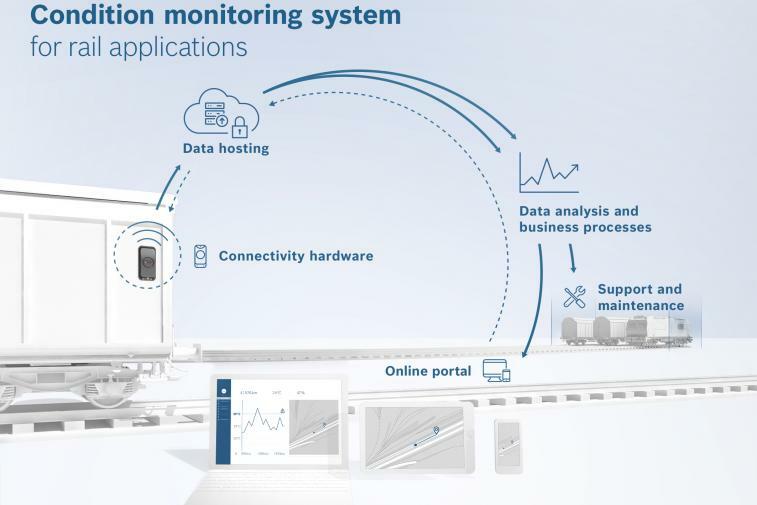 Bosch Engineering is now closing this gap with a connected asset intelligence system for rail freight. This system draws on the company’s tried and tested technologies and components from large-scale automotive production. 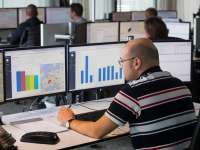 “Our automotive technology can also be applied in other sectors, including rail transport. 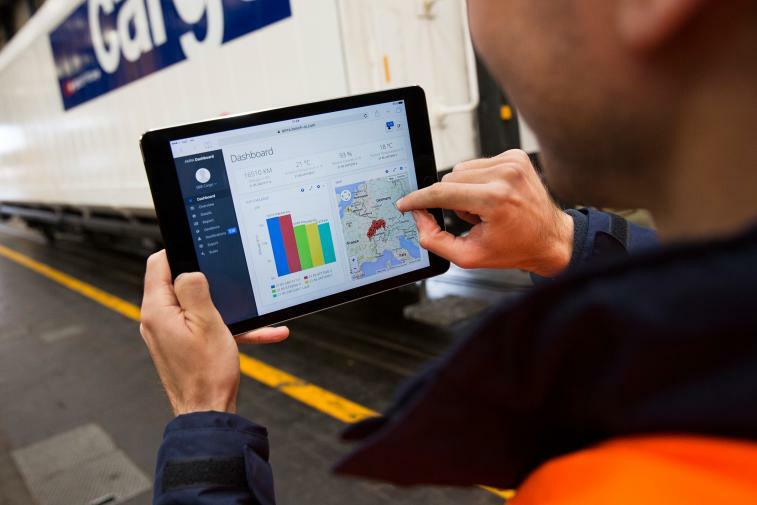 This new system allows us to make the logistics chains across rail, road, and sea transparent, and manage the increase in freight transport more efficiently,” says Bihr. Being able to track deliveries continuously and know if they will arrive on time is standard for road shipments. 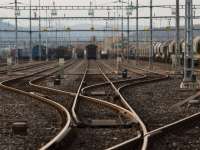 But when it comes to rail, this has typically been the exception rather than the rule, since freight cars have been unable to supply the required information. 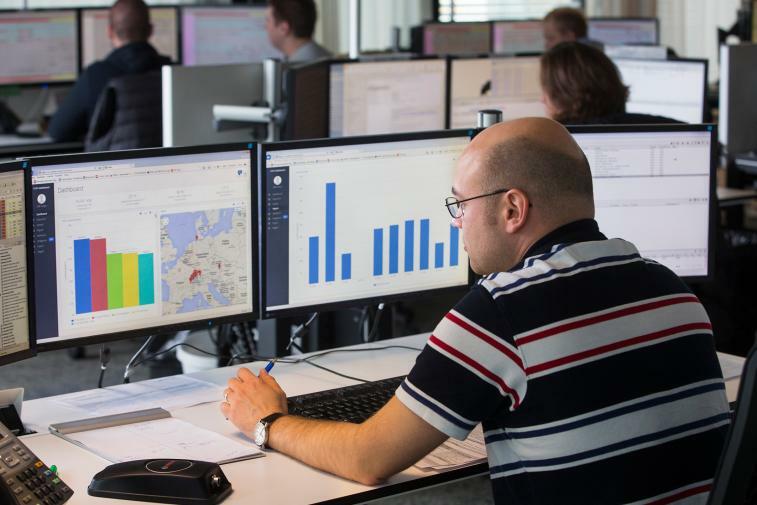 Getting the timing right – especially when relying on a combination of rail, road, and sea transport – is essential to ensuring the efficiency of logistics processes. 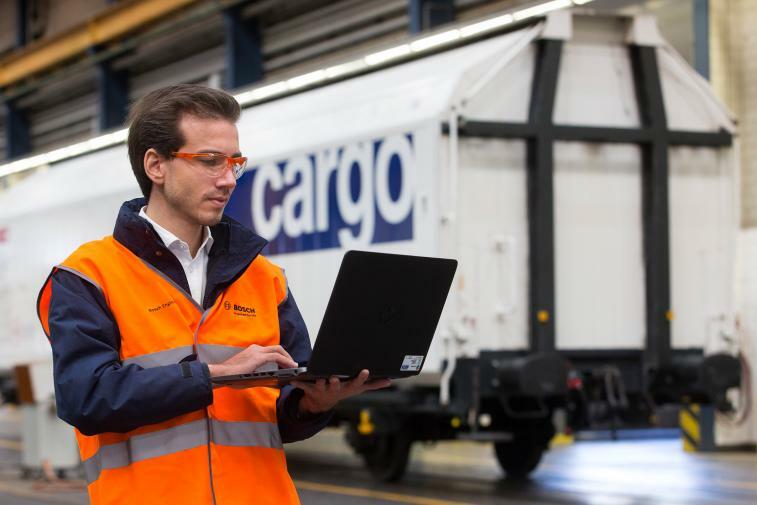 With the new asset intelligence system, connectivity hardware installed in freight cars provides the necessary information instantly, thus making it possible to pinpoint the location of each car. 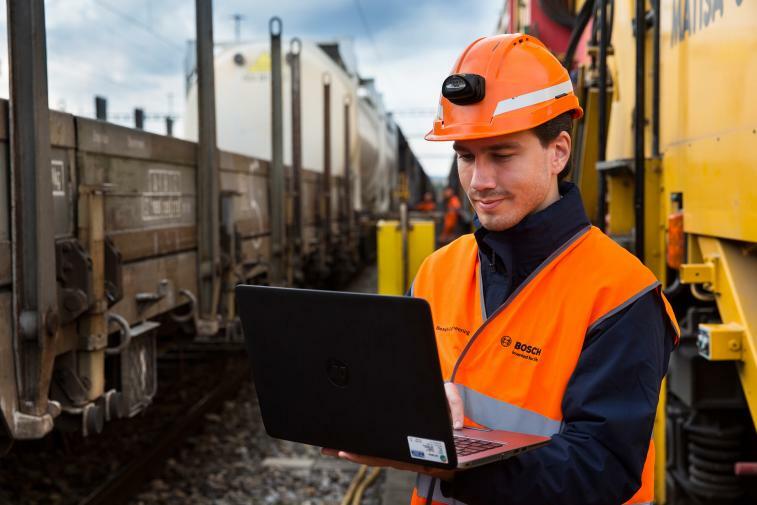 As a result, rail shipments can be tracked and monitored from start to finish, which in turn saves money, improves logistics planning, and helps ensure more reliable scheduling and increased delivery punctuality. A refrigerator car loaded with food is on its way from Hamburg to Cologne. How warm is it inside this freight car? Is the cold chain still intact? By measuring factors such as temperature and air humidity, sensors inside the car provide answers to these questions. The connectivity hardware sends the information gathered to a server and makes it available through an online portal. Should the temperature inside the car pass a critical threshold, the system immediately raises the alarm and notifies the control center. In this way, transport conditions can be monitored at all times along the entire route, and the system ensures that food always arrives fresh at its destination. Maneuvering and loading goods for transport can result in abrupt movements and vibrations strong enough to damage freight cars and the goods they carry. 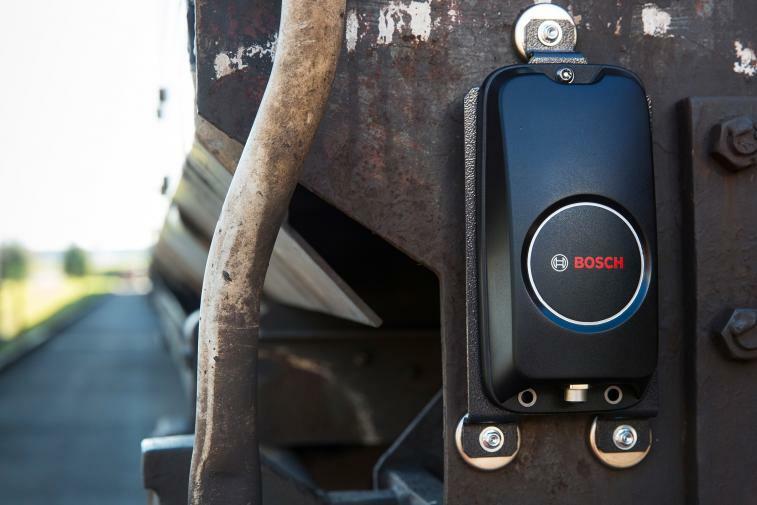 The connectivity hardware features a triaxial acceleration sensor that measures how strongly, how often, and exactly where freight cars are buffeted and analyzes the data. This makes it possible to determine the cause of any potential damage to the cars or their loads and verify the conditions of transport. All passenger cars are fitted with an odometer that shows how many miles have been driven and when to schedule the car’s next service. 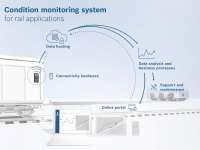 Thanks to Bosch, this is now also possible for railroad freight cars. 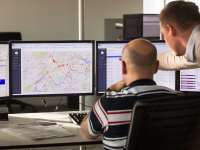 Operators can track the GPS position of a given car on a map of the rail network and determine how far it travels. Using this information, they can then schedule servicing intervals based on mileage and condition and make any necessary repairs in good time – minimizing downtimes and costs. 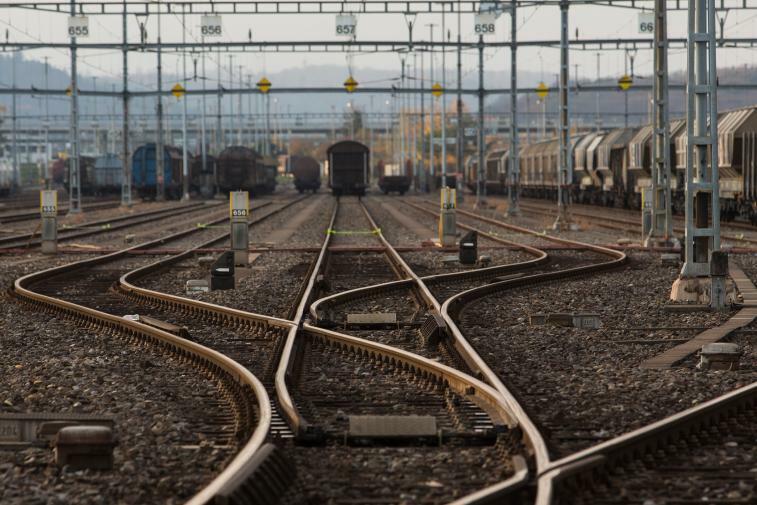 In addition to wanting to know where a particular freight car is, operators frequently require information on when it enters the station grounds or if it has made an unplanned departure from the expected route. This is where geofencing comes in. After a virtual zone has been defined online, each freight car automatically sends an e-mail or text message once it reaches the zone boundary. The arrival notification feature makes it possible to generate electronic delivery notes automatically and optimize logistics processes. And by using information on if and when a car’s doors have been opened, the system also increases the security of goods in transit.